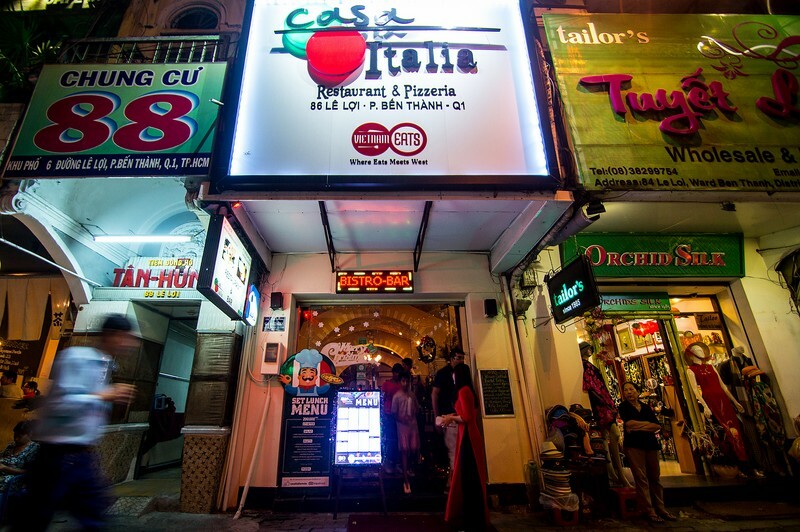 An unlikely visage of a Melbourne-styled Italian restaurant, complete with Monty Python and Fawlty Towers iconography and a line-up of Australian beer brands, greets diners as they enter Casa Italia (86 Le Loi, D1), located right in the beating heart of downtown Saigon. 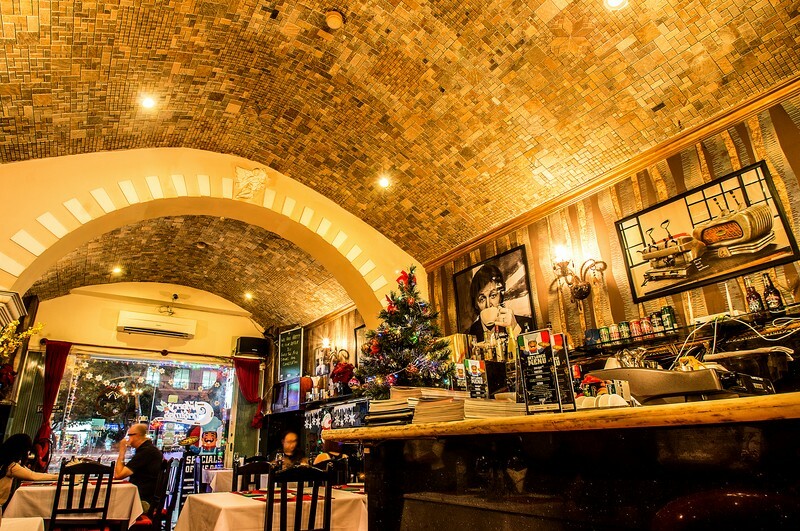 The impression is comparable to sticking an RSL (Returned and Services League, Australia) club into an upscale Italian restaurant on Melbourne’s famous Lygon Street and then transplanting the whole affair right into the middle of Saigon. I question Stephen, the restaurant’s owner, on his choice of décor. “Why Fawlty Towers? Because that’s exactly what it’s like to set up a restaurant in a place like Saigon,” he replies. Steve’s mission is to recreate what he believes is fading from areas such as Lygon, a place which he regrets is becoming increasingly “aggressive” in terms of competition and driving up the bottom line. Steve wants to operate Casa Italia like the family-run establishments he remembers from his Melbourne heydays. “I want to foster amongst the staff a loyalty to the restaurant, and a feeling of ownership,” Steve tells me, unlike the revolving door culture of the contemporary Melbourne restaurant scene where he cut his teeth. Steve’s oldest staff has been there right from the beginning, taking up leading positions in the new Casa Italia branches recently opened in Phu My Hung (82 Le Van Thiem, D7), Thao Dien (82 Xuan Thuy, D2) and another one in District 1 (98J Le Lai, D1). 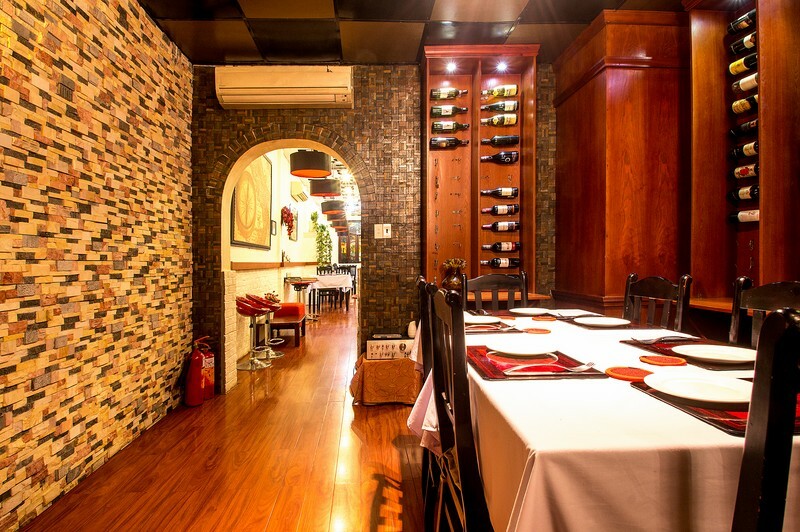 That close-knit ethic kicks into overdrive during Tet, which is a bit of a boom time for the restaurant with most of its competition shuttering for the holiday. Steve fondly relates the chaos of one Tet, running the tables himself with a skeleton staff of four well into the wee hours, as some of his most happy and hectic memories with the restaurant. 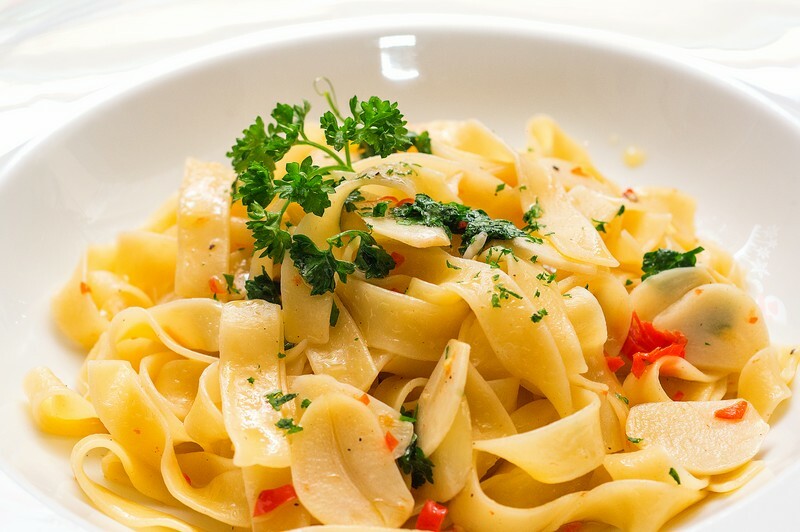 Casa Italia bases its brand on the staple meals of pizza and pasta. “Keep it simple” is Steve’s philosophy, in the true-blue Aussie manner. “There’s no need to reinvent the wheel when it comes to making great food, no need to over-do it.” Other than fresh herbs and vegetables, the ingredients are imported or hand-made in the kitchen. And with Stephen, making great food is in the blood. He began at the sprightly young age of 14, running the tables at his father’s establishment in the Dandenongs. A self-described country boy in the big city, he now divides his time between the Sunshine Coast and Saigon. 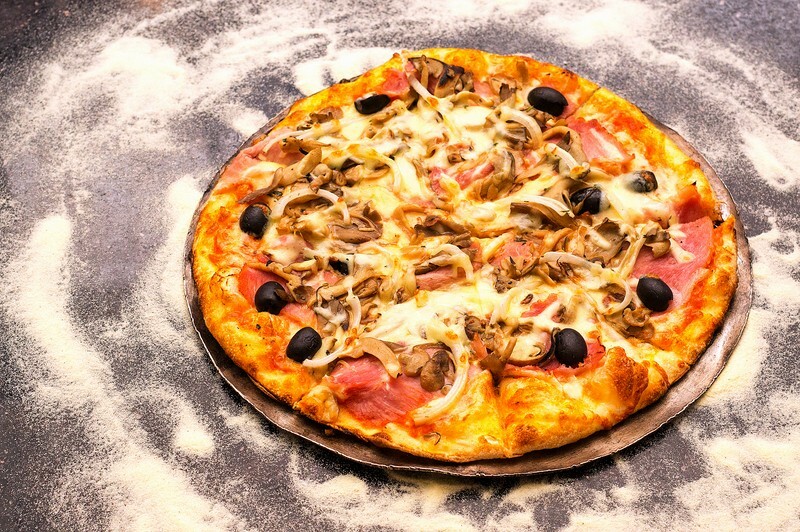 We start our meal with the Capricciosa Pizza (VND119,000), a mozzarella cheese- girdled rapscallion of olives, artichoke, oven-baked leg ham, mushrooms, and all- round mouthwatering good times. 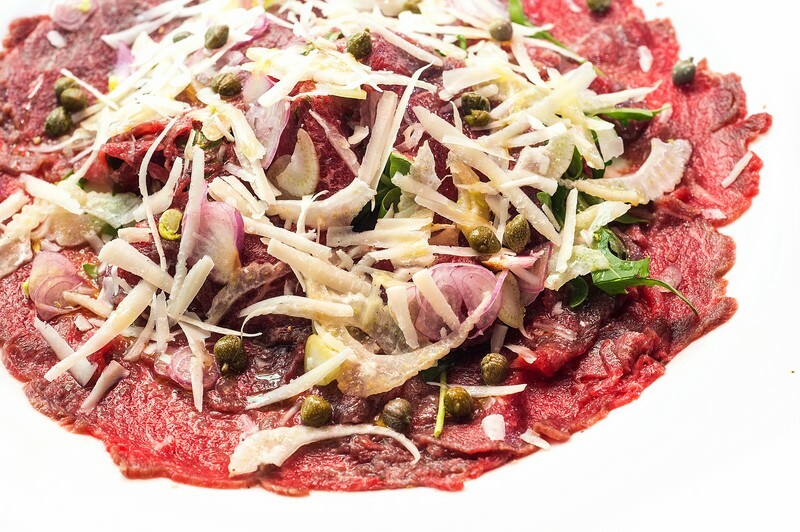 Shortly following upon this crusty creation comes the Beef Carpaccio (VND267,000). First timers (such as myself) may initially balk at this dish and its rather pulpy appearance, prepared with thinly-sliced raw beef topped off with rocket and finely chopped garlic, but will be pleasantly surprised by its delectable salty succulence once tucked into. It melts away in your mouth like soft taffy. The carpaccio washes down particularly well with a glass of house wine, a California shiraz (VND125,000). 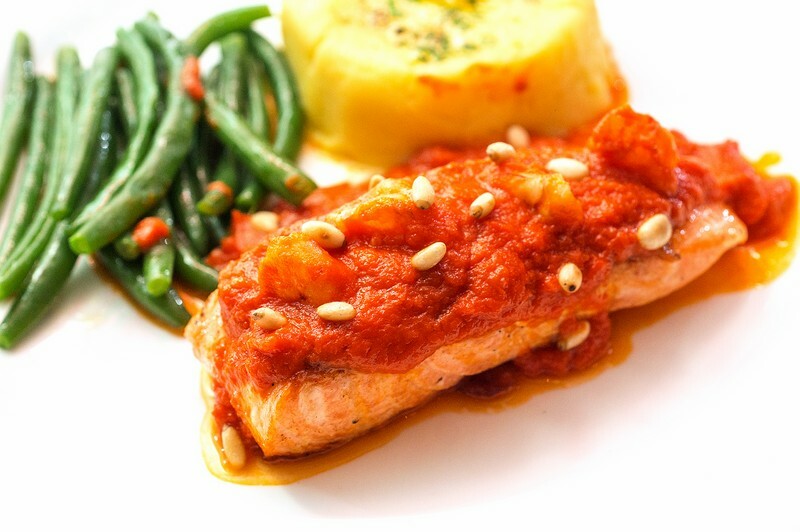 Next up is the Atlantic Salmon Liguria (VND359,000), oven-baked salmon fillet in a tomato-fennel sauce, tender as a kiss on the lips. The stuff just falls apart on the tip of your tongue, cooked to perfection with a side of crackling, beans, mash and a sauce that takes it to the next level. 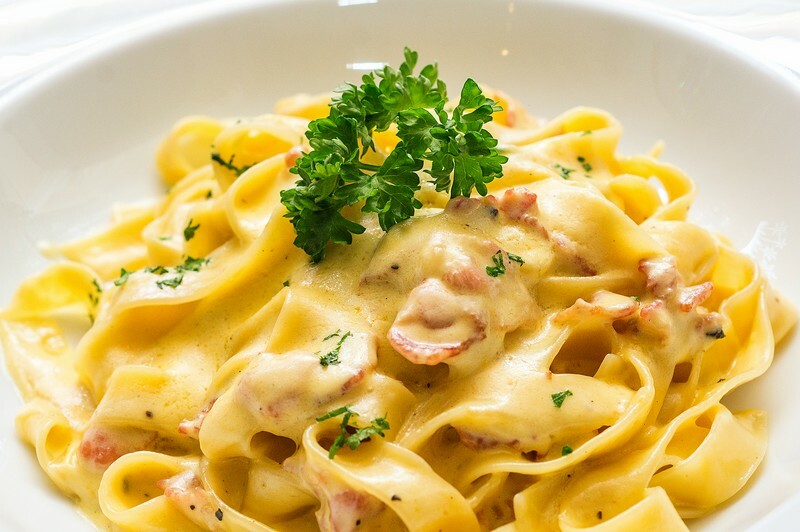 Throw in a Fettuccine Carbonara (VND137,000) and Fettuccine Alfredo (VND110,000) for good measure, and we’re a couple of very happy campers, heartily stuffed. The carbonara is creamy and cheesy as John Cleese’s smile beaming down from the wall with a pantheon of other 1980s television icons, while the alfredo is of a more restrained and understated hue. 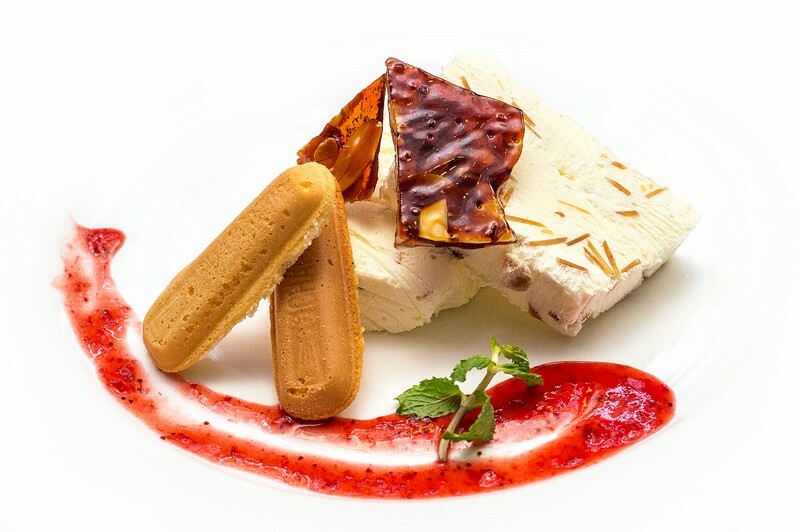 For dessert we treat ourselves to the Almond Semifreddo (VND129,000), essentially a slab of almond ice cream (“semi freddo” being Italian for “half frozen”) topped off with almond toffee snap – and what a treat it is. That nicely put away, we cap off the evening with a complimentary shot of limoncello and nightcap flat white espresso. “A taste of Melbourne’s finest, right there,” declares my dining companion. How right he is. A slice of Lygon, right here in Saigon. 86 Le Loi is opened every day during the Tet holiday, 98J Le Loi is closed on February 8, and 82 Le Van Thiem, PMH is closed on February 8 & 9.